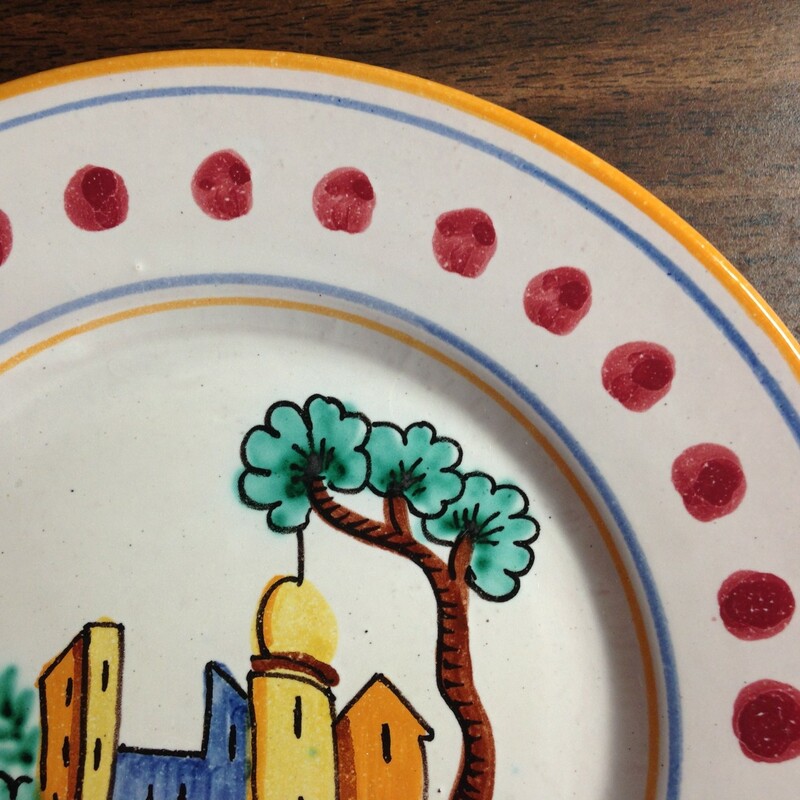 Click the button below to add the Hand Painted in Italy Warm Italian Village Plate with Dots to your wish list. 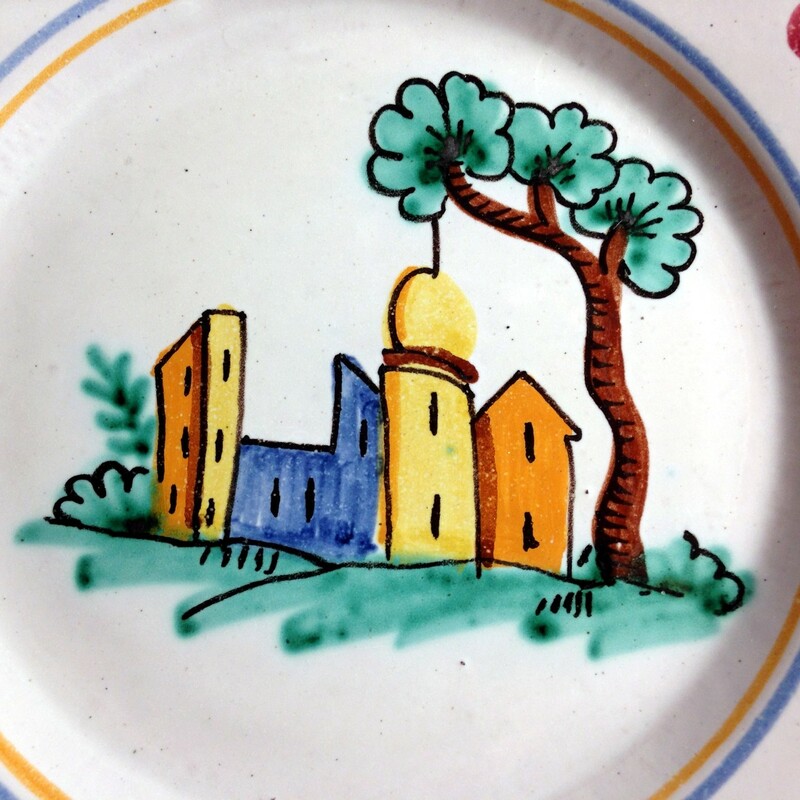 8" Cute italian village design with trees surrounded by dots. Nice warm colors. Made in Italy. Hand made so a little rustic.